What a month it has been for women in the Philippines! It has gone by so quickly, but the journey and fight for equality and mutual trust still has a long way to go. This year in particular, women highlighted their struggle for peace, justice, and respect as the culture of violence, repression, and misogyny became further entrenched. Extrajudicial killings, red-tagging, imprisonment through trumped-up charges, martial law, and land-grabbing are just some of the issues women face. Within these struggles, however, are also causes for celebration. Within these struggles is women’s bravery that gathered people to demand for what is just. Within these struggles is the resilience women continue to exhibit one generation after another. Within these struggles are women’s voices that continue to resound despite barriers. Partners of Voice in the Philippines celebrated in various ways to show that they are present and not one bit discouraged. From collective marches to fora, they made sure to say their piece. 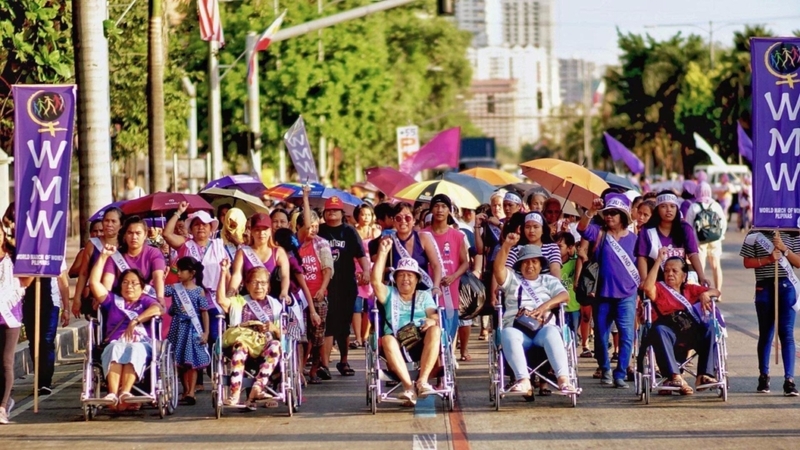 On March 8, 2019, the World March of Women Philippines gathered women from feminist grassroots organisations in a broad mobilisation. 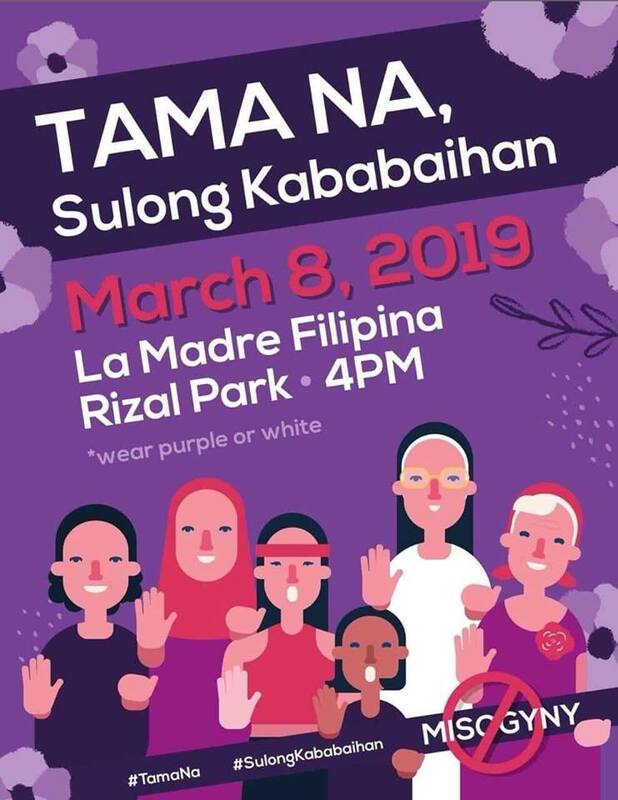 The march was joined by Voice grantees Coalition Against Trafficking in Women – Asia Pacific and Women’s Legal and Human Rights Bureau, and partner organisation of Mindanao People’s Peace Movement, the Lilak Purple Action for Indigenous Women’s Rights. 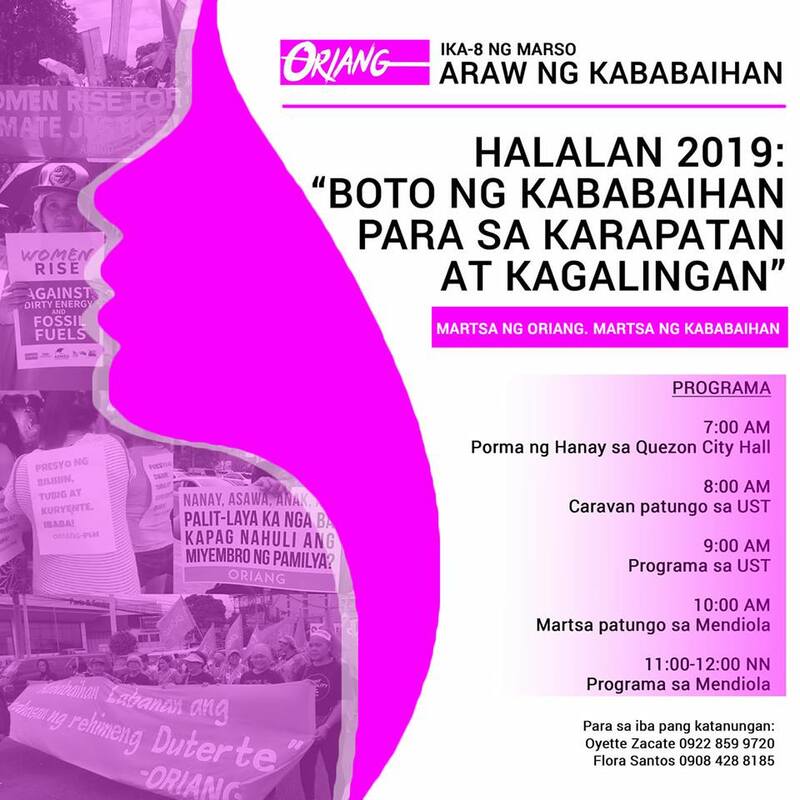 Oriang, another Voice grantee, organised a caravan and protest action from the streets of Quezon City to Manila, demanding to end contractualisation, discontinue the move toward federalism, and end violence against women, among others. The BAI Indigenous Women’s Network, member of the Asia Indigenous People’s Pact, a global influencing grantee, also occupied the streets to call for an end to attacks against women and indigenous communities. They later held a public forum on indigenous women’s situation. 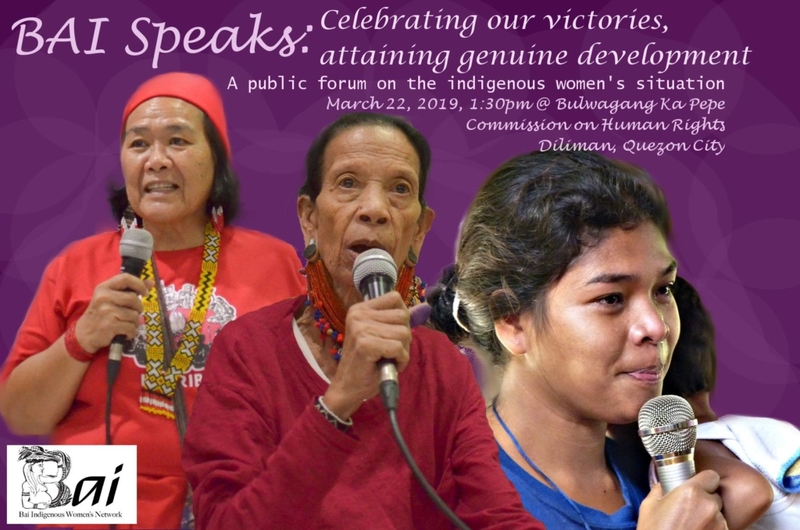 Women leaders from the Dumagat and Lumad tribes were invited to tell their stories and demands as they continue to experience violence, abuse, and discrimination. In Northern Philippines, the Cordillera women celebrated through a regional women’s summit and participation to the One Billion Rising dance. Innabuyog, a member organisation of the Cordillera People’s Alliance, spearheaded the celebration. Voice stands with women as they continue their fight toward a society that values life. We are here as a partner in amplifying their voices that have journeyed through unfathomable challenges and beautiful victories. Needless to say, Women’s Month is not enough. We celebrate you beyond the month of March and through a lifetime. Sisterhood for sister good!